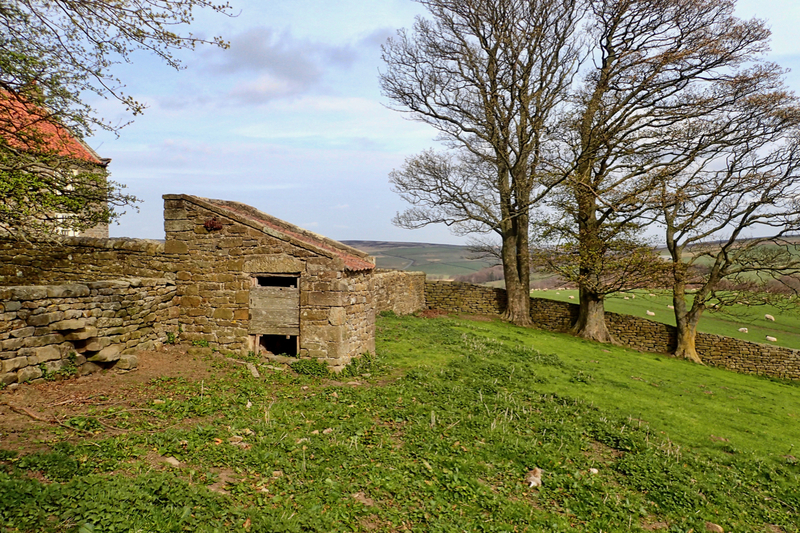 A fine example of vernacular architecture at its best, the outside toilet or privy at the bottom of the garden of Warren House in Kildale. The privy is a Listed Building Grade II in its own right. Rubblestone walls with a pantile roof with, apparently, the wooden-seated privy still inside. I didn’t sneak a look but presumably a one-holer. For those of you who are not familiar with this type of toiletry arrangements, it is exactly that, a hole in the ground. It is common to keep a bucket of ash and when you have done what you have to do, a shovel of ash is sprinkled down the hole and over the pile. This has the effect of (almost) killing the smell. Rose Castle, a cottage in the Lakes I have stayed in many times had until the turn of this century only had this facility. The side door in the privy would have been to enable the periodic removal of soil, not a pleasant job.